Your personal Oasis right in the middle of it all! One of the most unique lots and views in all of Anthem. A 5-minute walk to Anthem school, and less than 10-minute walk to The Anthem Community Center and Anthem Community Park.Please be advised that the county tax records are incorrect and are in the process of being updated to reflect the option of a bonus room in place of the 3rd garage bay. 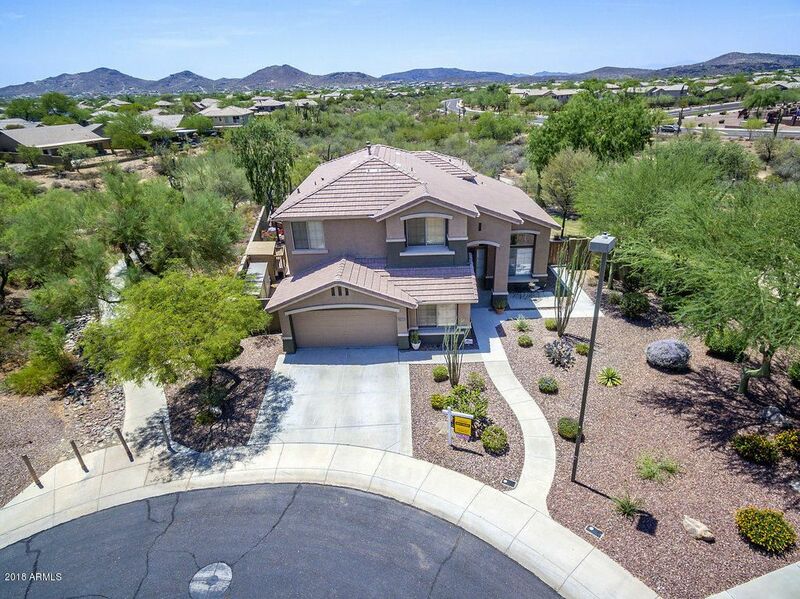 The correct information is 2,829 sq ft with a 2-car garage.The back of this incredible 1/4 acre cul-de-sac lot is surrounded by a recessed saguaro-filled wash with over 175 feet of view fence! This north-south facing lot has Mountain views in almost every direction with gorgeous sunsets almost every evening, and a front row seat to the annual Anthem Fireworks show.